Interstellar graphics — As you can probably tell from screenshots and trailers, Shiftlings is a really, really beautiful game. The cartoon style graphics are chunky, characterful and extremely colourful with superb animation and lots and lots of visual effects. Thinking back to similar games such as Abe’s Oddysey, it’s extremely important that games like this carve out their own niche in order to ensure they remain memorable and enhance the connection with the player. Shiftlings does that with ease. If anything, the only downside to the rich visual display is the fact that it, occasionally, switches and new interactive elements blend into the world a little bit too well. Friends for life — There’s no doubt in my mind that Shiftlings works infinitely better as a cooperative experience than it does when played alone. 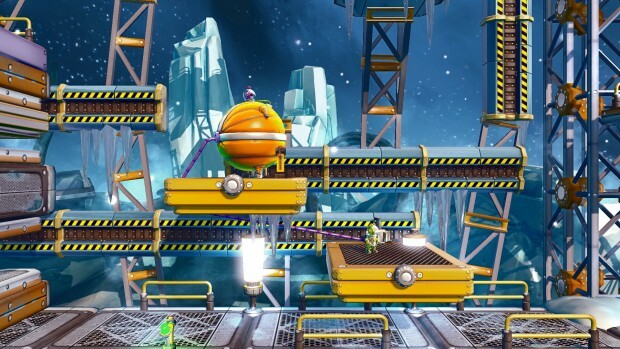 Multiplayer is available both locally and via the internet, with each player controlling one of the on-screen Shiftlings. 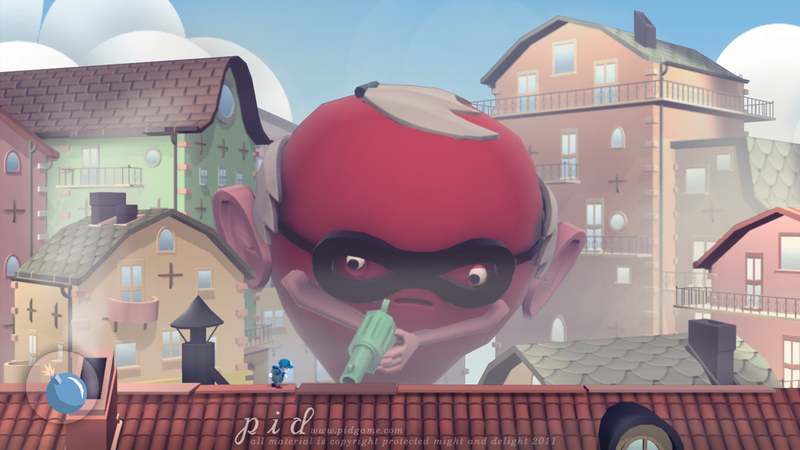 The main catch in Shiftlings is that both characters are physically connected by a length of pipe, and what’s more, the suit of one character will always be inflated with, ummm…fart gas! Yeah, fart gas. What this leads to is a cooperative experience that is absolutely reliant on good teamwork. Fail to work together and you simply won’t make progress, or worse still, if you inflate your partner at the wrong time then you’ll likely both die. 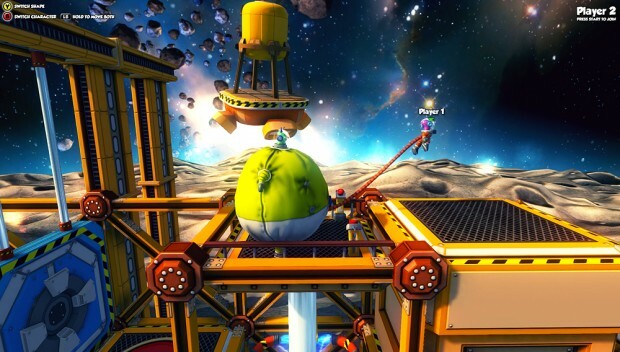 A long time ago, in a galaxy far, far away — Shiftlings is that it’s a very solid example of the kind of platform game that I really enjoy, but that we just don’t see that often. 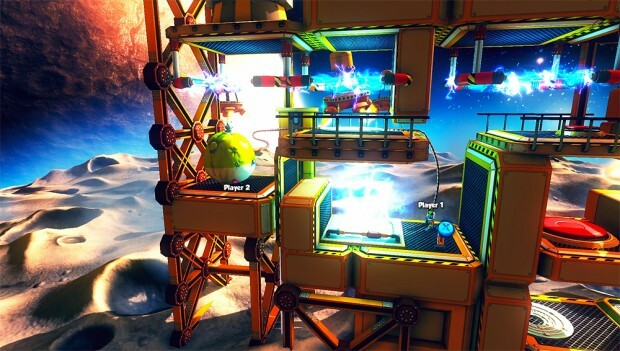 Shiftlings reminds me a lot of all the Abe’s games, but it’s also a lot like other classics like The Lost Vikings and to a lesser extent the last-gen Xbox 360 game Brothers. This is a game which features proper, old school challenge and with over 50 levels, it offers a lot of longevity and replay value for perfectionists. 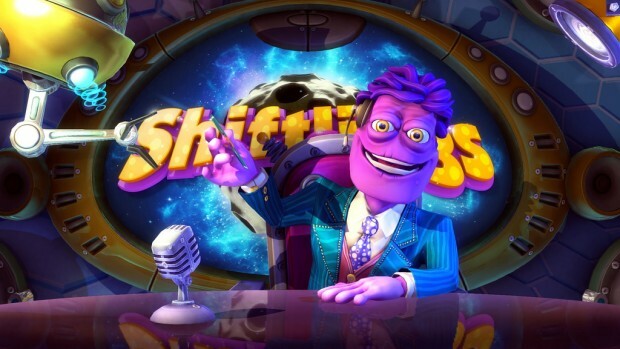 Houston, we have a problem — The main issue with Shiftlings is undoubtedly solo play. Not only is playing this kind of game alone inherently less amusing, but Shiftlings adds to the feeling of disappointment with controls that become fussy and overcomplicated for a single player. Switching the fart gas between characters takes a while to get used to for some reason, and just mastering movement of two creatures either independently or together seems to be a challenge. It’s certainly not game-breaking, and it is something that your hands will eventually master, but as the game ramps up in difficulty it does lead to some minor frustrations. I was initially excited about the premise that Shiftlings offered, and after a brief period of disappointment whilst I got used to the controls, it basically held up to my expectations. Once I was in the swing of things and playing a little more cooperative play, I began to really enjoy my time performing space station maintenance in this crazy and beautiful world. With that in mind, I have no hesitation recommending Shiftlings as a genuinely good game, but I would still suggest that if you hate puzzle-platformers, or if you absolutely will not play this game with friends, you might want to consider giving it a try before you buy.